Hotel Cavalier has one 4-person room. 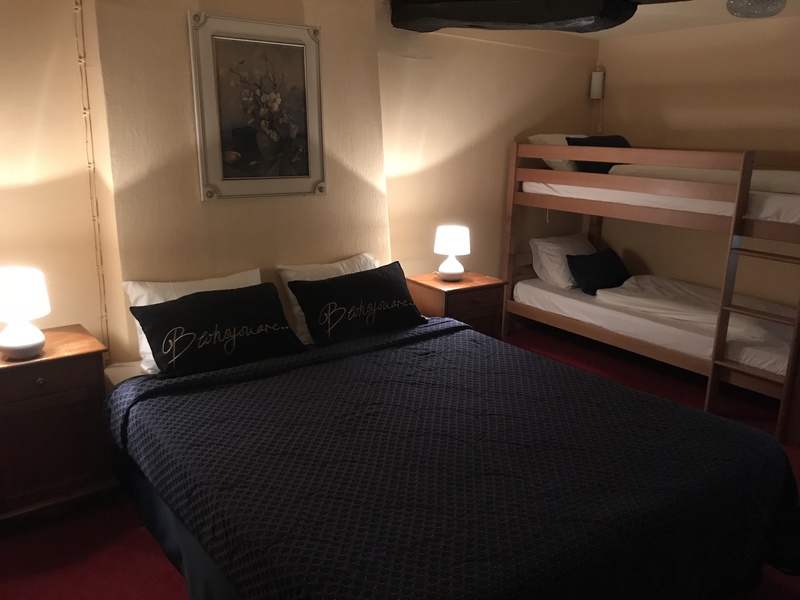 This room is perfect for a family or four friends looking for a budget friendly hotel room in the center of Bruges. The room is equipped with a double bed and bunk beds. The en suite bathroom has a shower and toilet. Wifi and TV are included in this room. A hairdryer can be requested from reception. From July 2018, there will be new furnishings, new box springs and new linens.